1991-1995: Bachelor, college of life science, southwest university. As the corresponding author, Dr Lai Ren has published more than 170 papers in international journals, such as Immunity, Nature Immunology, Science Advances, PLoS Biology, Nature Communications, Chemical Reviews, Proc. Natl. Acad. Sci., Mol & Cell. Proteomics, Hypertension, J. Med. Chem., JBC, Allergey, FASEB J. He has applied more than 70 patents. 1. Wang G, Long C, Liu W, Xu C, Zhang M, Li Q, Lu Q, Meng P, Li D, Rong M, Sun Z, Luo X, Lai R. Novel Sodium Channel Inhibitor From Leeches. Front Pharmacol. 2018 Mar 6;9:186. 2. Jin L, Guo X, Shen C, Hao X, Sun P, Li P, Xu T, Hu C, Rose O, Zhou H, Yang M, Qin CF, Guo J, Peng H, Zhu M, Cheng G, Qi X, Lai R. Salivary factor LTRIN from Aedes aegypti facilitates the transmission of Zika virus by interfering with the lymphotoxin-β receptor. Nat Immunol. 2018 Apr;19(4):342-353. 3. Zeng X, Li P, Chen B, Huang J, Lai R, Liu J, Rong M. Selective Closed-State Nav1.7 Blocker JZTX-34 Exhibits Analgesic Effects against Pain. Toxins (Basel). 2018 Feb 2;10(2). pii: E64. 4. Tu Q, Hao J, Zhou X, Yan L, Dai H, Sun B, Yang D, An S, Lv L, Jiao B, Chen C, Lai R, Shi P, Zhao X. CDKN2B deletion is essential for pancreatic cancer development instead of unmeaningful co-deletion due to juxtaposition to CDKN2A. 5. Luo L, Li B, Wang S, Wu F, Wang X, Liang P, Ombati R, Chen J, Lu X, Cui J, Lu Q, Zhang L, Zhou M, Tian C, Yang S, Lai R. Centipedes subdue giant prey by blocking KCNQ channels. Proc Natl Acad Sci U S A. 2018 Feb 13;115(7):1646-1651. 6. Li Y, Guo X, Hu C, Du Y, Guo C, Di Wang, Zhao W, Huang G, Li C, Lu Q, Lai R, Xu T, Qi X. Type I IFN operates pyroptosis and necroptosis during multidrug-resistant A. baumannii infection. Cell Death Differ. 2018 Jan 19. doi: 10.1038/s41418-017-0041-z. 1. Aluthwattha ST, Harrison RD, Ranawana KB, Xu C, Lai R, Chen J. Does spatial variation in predation pressure modulate selection for aposematism? Ecol Evol. 2017 Aug 15;7(18):7560-7572. 2. Yang S, Yang F, Zhang B, Lee BH, Li B, Luo L, Zheng J, Lai R. A bimodal activation mechanism underlies scorpion toxin-induced pain. Sci Adv. 2017 Aug 2;3(8):e1700810. 3. Jin L, Fang M, Chen M, Zhou C, Ombati R, Hakim MA, Mo G, Lai R, Yan X, Wang Y, Yang S. An insecticidal toxin from Nephila clavata spider venom. Amino Acids. 2017 Jul;49(7):1237-1245. 4. Fang YQ, Shen CB, Luan N, Yao HM, Long CB, Lai R, Yan XW. In vivo antimalarial activity of synthetic hepcidin against Plasmodium berghei in mice. Chin J Nat Med. 2017 Mar;15(3):161-167. 5. Luan N, Zhou C, Li P, Ombati R, Yan X, Mo G, Rong M, Lai R, Duan Z, Zheng R.
Joannsin, a novel Kunitz-type FXa inhibitor from the venom of Prospirobolus joannsi. Thromb Haemost. 2017 Jun 2;117(6):1031-1039. 1. Meng P, Huang H, Wang G, Yang S, Lu Q, Liu J, Lai R, Rong M. A Novel Toxin from Haplopelma lividum Selectively Inhibits the NaV1.8 Channel and Possesses Potent Analgesic Efficacy. Toxins (Basel). 2016 Dec 26;9(1). pii: E7. 2. He X, Shen C, Lu Q, Li J, Wei Y, He L, Bai R, Zheng J, Luan N, Zhang Z, Rong M, Lai R. Prokineticin 2 Plays a Pivotal Role in Psoriasis. EBioMedicine. 2016 Nov;13:248-261. 3. Luan N, Shen W, Liu J, Wen B, Lin Z, Yang S, Lai R, Liu S, Rong M. A Combinational Strategy upon RNA Sequencing and Peptidomics Unravels a Set of Novel Toxin Peptides in Scorpion Mesobuthus martensii. Toxins (Basel). 2016 Oct 5;8(10). 4. Liu WH, Chen Y, Bai XW, Yao HM, Zhang XG, Yan XW, Lai R. Identification and characterization of a novel neuropeptide (neuropeptide Y-HS) from leech salivary gland of Haemadipsa sylvestris. Chin J Nat Med. 2016 Sep;14(9):677-682. 5. Yao HM, Wang G, Liu YP, Rong MQ, Shen CB, Yan XW, Luo XD, Lai R. Phenolic acids isolated from the fungus Schizophyllum commune exert analgesic activity by inhibiting voltage-gated sodium channels. Chin J Nat Med. 2016 Sep;14(9):661-670. 6. Ma H, Xiao-Peng T, Yang SL, Lu QM, Lai R. Protease inhibitor in scorpion (Mesobuthus eupeus) venom prolongs the biological activities of the crude venom. Chin J Nat Med. 2016 Aug;14(8):607-14. 7. Lai Y, Li B, Liu W, Wang G, Du C, Ombati R, Lai R, Long C, Li H. Purification and Characterization of a Novel Kazal-Type Trypsin Inhibitor from the Leech of Hirudinaria manillensis. Toxins (Basel). 2016 Jul 23;8(8). 8. Rong M, Liu J, Zhang M, Wang G, Zhao G, Wang G, Zhang Y, Hu K, Lai R. A sodium channel inhibitor ISTX-I with a novel structure provides a new hint at the evolutionary link between two toxin folds. Sci Rep. 2016 Jul 13;6:29691. 9. Jin L, Bai X, Luan N, Yao H, Zhang Z, Liu W, Chen Y, Yan X, Rong M, Lai R, Lu Q. A Designed Tryptophan- and Lysine/Arginine-Rich Antimicrobial Peptide with Therapeutic Potential for Clinical Antibiotic-Resistant Candida albicans Vaginitis. J Med Chem. 2016 Mar 10;59(5):1791-9. 10. Kang D, Li B, Luo L, Jiang W, Lu Q, Rong M, Lai R. Curcumin shows excellent therapeutic effect on psoriasis in mouse model. Biochimie. 2016 Apr;123:73-80. 11. Wei NN, Lv HN, Wu Y, Yang SL, Sun XY, Lai R, Jiang Y, Wang K. Selective Activation of Nociceptor TRPV1 Channel and Reversal of Inflammatory Pain in Mice by a Novel Coumarin Derivative Muralatin L from Murraya alata. J Biol Chem. 2016 Jan 8;291(2):640-51. 12. Hao X, Tang X, Luo L, Wang Y, Lai R, Lu Q. A novel ranacyclin-like peptide with anti-platelet activity identified from skin secretions of the frog Amolops loloensis. Gene. 2016 Jan 15;576(1 Pt 1):171-5. 1. Zhang Z, Meng P, Han Y, Shen C, Li B, Hakim MA, Zhang X, Lu Q, Rong M, Lai R. Mitochondrial DNA-LL-37 Complex Promotes Atherosclerosis by Escaping from Autophagic Recognition. Immunity. 2015 ;43(6):1137-47. 2. Hakim MA, Yang S, Lai R. Centipede Venoms and Their Components: Resources for Potential Therapeutic Applications. Toxins (Basel). 2015 Nov 17;7(11):4832-51. 3. Hao X, Tang X, Luo L, Wang Y, Lai R, Lu Q. A novel ranacyclin-like peptide with anti-platelet activity identified from skin secretions of the frog Amolops loloensis. Gene. 2016 Jan 15;576(1 Pt 1):171-5. 4. Yang S, Yang F, Wei N, Hong J, Li B, Luo L, Rong M, Yarov-Yarovoy V, Zheng J, Wang K, Lai R. A pain-inducing centipede toxin targets the heat activation machinery of nociceptor TRPV1. Nat Commun. 2015 Sep 30;6:8297..
5. Hakim MA, Jiang W, Luo L, Li B, Yang S, Song Y, Lai R. Scorpion Toxin, BmP01, Induces Pain by Targeting TRPV1 Channel. Toxins (Basel). 2015 Sep 14;7(9):3671-87. 6. Fang Y, Long C, Bai X, Liu W, Rong M, Lai R, An S. Two new types of allergens from the cockroach, Periplaneta americana. Allergy. 2015 70(12):1674-8. 7. Bai X, Yao H, Du C, Chen Y, Lai R, Rong M. An immunoregulatory peptide from tsetse fly salivary glands of Glossina morsitans morsitans. Biochimie. 2015 Nov;118:123-8. 8. Wang YW, Tan JM, Du CW, Luan N, Yan XW, Lai R, Lu QM. A Novel Trypsin Inhibitor-Like Cysteine-Rich Peptide from the Frog Lepidobatrachus laevis Containing Proteinase-Inhibiting Activity. Nat Prod Bioprospect. 2015 Aug;5(4):209-14. 9. Hu K, Jiang Y, Xie Y, Liu H, Liu R, Zhao Z, Lai R, Yang L. Small-Anion Selective Transmembrane "Holes" Induced by an Antimicrobial Peptide Too Short to Span Membranes. J Phys Chem B. 2015 Jul 9;119(27):8553-60. 10. Zhong S, Wu J, Cui Y, Li R, Zhu S, Rong M, Lu Q, Lai R. Vascular endothelial growth factor from Trimeresurus jerdonii venom specifically binds to VEGFR-2.Biochimie. 2015 Sep;116:1-7. 11. Jiang WB, Hakim M, Luo L, Li BW, Yang SL, Song YZ, Lai R, Lu QM. Purification and characterization of cholecystokinin from the skin of salamander Tylototriton verrucosus. Dongwuxue Yanjiu. 2015 May 18;36(3):174-7. 12. Xu X, Lai R. The chemistry and biological activities of peptides from amphibian skin secretions. Chem Rev. 2015 Feb 25;115(4):1760-846. 13. Rong M, Yang S, Wen B, Mo G, Kang D, Liu J, Lin Z, Jiang W, Li B, Du C, Yang S, Jiang H, Feng Q, Xu X, Wang J, Lai R. Peptidomics combined with cDNA library unravel the diversity of centipede venom. J Proteomics. 2015 Jan 30;114:28-37. 14. Tang J, Fang Y, Han Y, Bai X, Yan X, Zhang Y, Lai R, Zhang Z. YY-39, a tick anti-thrombosis peptide containing RGD domain. Peptides. 2015 Jun;68:99-104. 1. Zhu Y, Li Z, Liu H, He X, Zhang Y, Jin J, Che J, Li C, Chen W, Lai R, Liu J. Novel analgesic peptides from the tree frog of Hyla japonica. Biochimie. 2014, 99:38-43. 2. Zhu Y, Duan Z, Mo G, Shen C, Lv L, Chen W, Lai R. A novel 26RFa peptide containing both analgesic and anti-inflammatory functions from Chinese tree shrew. Biochimie. 2014, 102:112-6. 4. Mu L, Tang J, Liu H, Shen C, Rong M, Zhang Z, Lai R. A potential wound-healing-promoting peptide from salamander skin. FASEB J. 2014，Sep;28(9):3919-29. 5. Liu H, Duan Z, Tang J, Lv Q, Rong M, Lai R. A short peptide from frog skin accelerates diabetic wound healing. FEBS J. 2014，281(20):4633-43. 6. Zhang Z, Gao L, Shen C, Rong M, Yan X, Lai R. A potent anti-thrombosis peptide(vasotab TY) from horsefly salivary glands. Int J Biochem Cell Biol. 2014，54:83-8. 7. Liu H, Mu L, Tang J, Shen C, Gao C, Rong M, Zhang Z, Liu J, Wu X, Yu H, Lai R. A potential wound healing-promoting peptide from frog skin. Int J Biochem Cell Biol. 2014, 49:32-41. 8. Zhong Y, Song B, Mo G, Yuan M, Li H, Wang P, Yuan M, Lu Q. A Novel Neurotoxin from Venom of the Spider, Brachypelma albopilosum. PLoS One. 2014, 9(10):e110221. 9. Tang J, Liu H, Gao C, Mu L, Yang S, Rong M, Zhang Z, Liu J, Ding Q, Lai R. A small peptide with potential ability to promote wound healing. PLoS One. 2014, 9(3):e92082. 10. Tang J, Fang Y, Han Y, Bai X, Yan X, Zhang Y, Lai R, Zhang Z. YY-39, a tick anti-thrombosis peptide containing RGD domain. Peptides. 2015 Jun;68:99-104. 1. Zhu Y, Li Z, Liu H, He X, Zhang Y, Jin J, Che J, Li C, Chen W, Lai R, Liu J. Novel analgesic peptides from the tree frog of Hyla japonica. Biochimie.2014 Apr;99:38-43..
2. Yang S, Xiao Y, Kang D, Liu J, Li Y, Undheim EA, Klint JK, Rong M, Lai R, King GF.Discovery of a selective NaV1.7 inhibitor from centipede venom with analgesic efficacy exceeding morphine in rodent pain models. Proc Natl Acad Sci U S A. 2013;110(43):17534-9. 3. Liu YP, Lai R, Yao YG, Zhang ZK, Pu ET, Cai XH, Luo XD.Induced furoeudesmanes: a defense mechanism against stress in Laggera pterodonta, a Chinese herbal plant. Org Lett. 2013 4;15(19):4940-3. 4. Zhang Z, Mu L, Tang J, Duan Z, Wang F, Wei L, Rong M, Lai R. A small peptide with therapeutic potential for inflammatory acne vulgaris. PLoS One. 2013; 8(8):e72923. 5. Yan H, Liu Y, Tang J, Mo G, Song Y, Yan X, Wei L, Lai R. A novel antimicrobial peptide from skin secretions of the tree frog Theloderma kwangsiensis. Zoolog Sci. 2013;30(9):704-9. 6. Liu R, Zhang Z, Liu H, Hou P, Lang J, Wang S, Yan H, Li P, Huang Z, Wu H, Rong M, Huang J, Wang H, Lv L, Qiu M, Ding J, Lai R.Human β-defensin 2 is a novel opener of Ca2+-activated potassium channels and induces vasodilation and hypotension in monkeys. Hypertension. 2013; 62(2):415-25. 7. Liu H, Zhao B, Chen Y, You D, Liu R, Rong M, Ji W, Zheng P, Lai R. Multiple coagulation factor deficiency protein 2 contains the ability to support stem cell self-renewal.FASEB J. 2013; 27(8):3298-305. 8. Song Y, Ji S, Liu W, Yu X, Meng Q, Lai R. Different expression profiles of bioactive peptides in Pelophylax nigromaculatus from distinct regions. Biosci Biotechnol Biochem.2013;77 (5):1075-9. 9. Wei L, Wu J, Liu H, Yang H, Rong M, Li D, Zhang P, Han J, Lai R.A mycobacteriophage-derived trehalose-6,6'-dimycolate-binding peptide containing both antimycobacterial and anti-inflammatory abilities. FASEB J. 2013; 27(8):3067-77. 10. Wei L, Yang J, He X, Mo G, Hong J, Yan X, Lin D, Lai R. Structure and function of a potent lipopolysaccharide-binding antimicrobial and anti-inflammatory peptide. J Med Chem. 2013; 56(9):3546-56. 11. An S, Chen L, Long C, Liu X, Xu X, Lu X, Rong M, Liu Z, Lai R. Dermatophagoides farinae allergens diversity identification by proteomics. Mol Cell Proteomics. 2013;12(7):1818-28. 12. Fan Y, Huang ZY, Cao CC, Chen CS, Chen YX, Fan DD, He J, Hou HL, Hu L, Hu XT, Jiang XT, Lai R, Lang YS, Liang B, Liao SG, Mu D, Ma YY, Niu YY, Sun XQ, Xia JQ, Xiao J, Xiong ZQ, Xu L, Yang L, Zhang Y, Zhao W, Zhao XD, Zheng YT, Zhou JM, Zhu YB, Zhang GJ, Wang J, Yao YG.Genome of the Chinese tree shrew. Nat Commun. 2013; 4:1426. 13. Liu D, Wang Y, Wei L, Ye H, Liu H, Wang L, Liu R, Li D, Lai R.Snake venom-like waprin from the frog of Ceratophrys calcarata contains antimicrobial function. Gene. 2013; 514(2) :99-104. 14. Wang G, Wang Y, Ma D, Liu H, Li J, Zhang K, Yang X, Lai R, Liu J.Five novel antimicrobial peptides from the Kuhl's wart frog skin secretions, Limnonectes kuhlii. Mol Biol Rep. 2013; 40(2):1097-102. 15. He X, Yang S, Wei L, Liu R, Lai R, Rong M. Antimicrobial peptide diversity in the skin of the torrent frog, Amolops jingdongensis.Amino Acids. 2013; 44(2):481-7. 1. Meng P, Wei L, Yang S, Liu H, Liu R, Lai R. A novel frog skin peptide containing function to induce muscle relaxation. Biochimie. Biochimie. 2012. 94(12): 2508-13. 2. Wang Y, Yan H, Wang Y, Yang H, Wei L, Xiao Y, Ye H, Lai R, Liu R. Proteomics and transcriptome analysis coupled with pharmacological test reveals the diversity of anti-thrombosis proteins from the medicinal insect, Eupolyphaga sinensis. Insect Biochem Mol Biol. 2012, 42(8):537-44. 4. Yan H, Wei L, He X, Liu H, Yang S, Lai R, Rao D. A novel myotropic peptide from the skin secretions of the tree frog, Polypedates pingbianensis. Biochimie. 2012, 94(8):1718-23. 5. An S, Chen L, Wei JF, Yang X, Ma D, Xu X, Xu X, He S, Lu J, Lai R. Purification and characterization of two new allergens from the venom of Vespa magnifica. PLoS One. 2012; 7(2):e31920. 6. Xu X, Francischetti IM, Lai R, Ribeiro JM, Andersen JF. Structure of protein having inhibitory disintegrin and leukotriene scavenging functions contained in single domain. J Biol Chem. 2012, 287(14):10967-76. 7. Yan X, Zhong J, Liu H, Liu C, Zhang K, Lai R. The cathelicidin-like peptide derived from panda genome is a potential antimicrobial peptide. Gene. 2012, 25;492(2):368-74. 8. Wu H, Li J, Zhang Q, Yan X, Guo L, Gao X, Qiu M, Jiang X, Lai R, Chen H. A novel small Odorranalectin-bearing cubosomes: preparation, brain delivery and pharmacodynamic study on amyloid-β2 5-3 5-treated rats following intranasal administration. Eur J Pharm Biopharm. 2012, 80(2):368-78. 9. Hao X, Yang H, Wei L, Yang S, Zhu W, Ma D, Yu H, Lai R. Amphibian cathelicidin fills the evolutionary gap of cathelicidin in vertebrate. Amino Acids. 2012, 43(2):677-85. 10. Yan X, Liu H, Yang X, Che Q, Liu R, Yang H, Liu X, You D, Wang A, Li J, Lai R. Bi-functional peptides with both trypsin-inhibitory and antimicrobial activities are frequent defensive molecules in Ranidae amphibian skins. Amino Acids. 2012, 43(1):309-16. 1. Wang Y, Zhang Z, Chen L, Guang H, Li Z, Yang H, Li J, You D, Yu H, Lai R. Cathelicidin-BF, a snake cathelicidin-derived antimicrobial peptide, could be an excellent therapeutic agent for acne vulgaris. PLoS One. 2011, 6(7):e22120. 2. Wu J, Liu H, Yang H, Yu H, You D, Ma Y, Ye H, Lai R. Proteomic analysis of skin defensive factors of tree frog Hyla simplex. J Proteome Res. 2011, 10(9):4230-40. 3. Liu R, Mu L, Liu H, Wei L, Yan T, Chen M, Zhang K, Li J, You D, Lai R. Two antimicrobial and nematicidal peptides derived from sequences encoded Picea sitchensis. J Pept Sci. 2011, 17(9):627-31. 4. Yang H, Wang Y, Xiao Y, Wang Y, Wu J, Liu C, Ye H, Li F, Yu H, Lai R. A bi-functional anti- thrombosis protein containing both direct-acting fibrin(ogen)olytic and plasminogen-activating activities. PLoS One. 2011, 6(3):e17519. 5. Ma D, Xu X, An S, Liu H, Yang X, Andersen JF, Wang Y, Tokumasu F, Ribeiro JM, Francischetti IM, Lai R. A novel family of RGD-containing disintegrins (Tablysin-15) from the salivary gland of the horsefly Tabanus yao targets αIIbβ3 or αVβ3 and inhibits platelet aggregation and angiogenesis. Thromb Haemost. 2011, 105(6):1032-45. 6. Wei L, Dong L, Zhao T, You D, Liu R, Liu H, Yang H, Lai R. Analgesic and anti-inflammatory effects of the amphibian neurotoxin, anntoxin. Biochimie. 2011, 93(6):995-1000. 7. Wen Z, Yan Z, Hu K, Pang Z, Cheng X, Guo L, Zhang Q, Jiang X, Fang L, Lai R. Odorranalectin- conjugated nanoparticles: preparation, brain delivery and pharmacodynamic study on Parkinson's disease following intranasal administration. J Control Release. 2011, 151(2):131-8. 8. Ma D, Li Y, Dong J, An S, Wang Y, Liu C, Yang X, Yang H, Xu X, Lin D, Lai R. Purification and characterization of two new allergens from the salivary glands of the horsefly, Tabanus yao. Allergy. 2011; 66: 101-9. 9. An S, Ma D, Wei JF, Yang X, Yang HW, Yang H, Xu X, He S, Lai R. A novel allergen Tab y1 with inhibitory activity of platelet aggregation from salivary glands of horseflies. Allergy. 2011, 66(11): 1420-7. 10. Liu R, Liu H, Ma Y, Wu J, Yang H, Ye H, Lai R. There are abundant antimicrobial peptides in brains of two kinds of Bombina toads. J Proteome Res. 2011, 10(4):1806-15. 11. Liu X, Liu R, Wei L, Yang H, Zhang K, Liu J, Lai R. Two novel antimicrobial peptides from skin secretions of the frog, Rana nigrovittata. J Pept Sci. 2011, 17(1):68-72. 1. Wu J, Wang Y, Liu H, Yang H, Ma D, Li J, Li D, Lai R. Two immunoregulatory peptides with antioxidant activity from tick salivary glands J Biol Chem. 2010; 285: 16606-13. 2. Liu C, Hong J, Yang H, Wu J, Ma D, Li D, Lin D, Lai R. Frog skins keep redox homeostasis by antioxidant peptides with rapid radical-scavenging ability. Free Radic Biol Med. 2010; 48: 1173-81. 3. Chen M, Che Q, Wang X, Li J, Yang H, Li D, Zhang K, Lai R. Cloning and characterization of the first amphibian bradykinin gene. Biochimie. 2010; 92: 226-31. 4. Lai R. Combined peptidomics and genomics approach to the isolation of amphibian antimicrobial peptides. Methods Mol Biol. 2010; 615: 177-90. 5. Wang M, Wang Y, Wang A, Song Y, Ma D, Yang H, Ma Y, Lai R. Five novel antimicrobial peptides from skin secretions of the frog, Amolops loloensis. Comp Biochem Physiol B. 2010;155: 72-6. 6. Ma Y, Liu C, Liu X, Wu J, Yang H, Wang Y, Li J, Yu H, Lai R. Peptidomics and genomics analysis of novel antimicrobial peptides from the frog, Rana nigrovittata. Genomics. 2010; 95: 66-71. 7. Ma D, Gao L, An S, Song Y, Wu J, Xu X, Lai R. A horsefly saliva antigen 5-like protein containing RTS motif is an angiogenesis inhibitor. Toxicon. 2010; 55: 45-51. 8. Lu Z, Wang Y, Zhai L, Che Q, Wang H, Du S, Wang D, Feng F, Liu J, Lai R, Yu H. Novel cathelicidin-derived antimicrobial peptides from Equus asinus. FEBS J. 2010; 277: 2329-39. 1. Wang WX, Wang YP, Deng XJ, Dang XL, Tian JH, Yi HY, Li YF, He XF, Cao Y, Xia QY, Lai R, Wen SY, Paskowitz S. Molecular and functional characterization of a c-type lysozyme from the Asian corn borer, Ostrinia furnacalis. J Insect Sci. 2009; 9: 17. 2. Zhang CX, Yang SY, Xu MX, Sun J, Liu H, Liu JR, Liu H, Kan F, Sun J, Lai R, Zhang KY. Serratia nematodiphila sp. nov., associated symbiotically with the entomopathogenic nematode Heterorhabditidoides chongmingensis (Rhabditida: Rhabditidae). Int J Syst Evol Microbiol. 2009; 59: 1603-8. 3. Song Y, Lu Y, Wang L, Yang H, Zhang K, Lai R. Purification, characterization and cloning of two novel tigerinin-like peptides from skin secretions of Fejervarya cancrivora. Peptides. 2009; 30: 1228-32. 4. You D, Hong J, Rong M, Yu H, Liang S, Ma Y, Yang H, Wu J, Lin D, Lai R. The first gene-encoded amphibian neurotoxin. J Biol Chem. 2009; 284: 22079-86. 5. Ma D, Wang Y, Yang H, Wu J, An S, Gao L, Xu X, Lai R. Anti-thrombosis repertoire of blood-feeding horsefly salivary glands. Mol Cell Proteomics. 2009; 8: 2071-9. 6. Liu H, Zhou Y, Liu R, Zhang KY, Lai R. Bacillus solisalsi sp. nov., a halotolerant, alkaliphilic bacterium isolated from soil around a salt lake. Int J Syst Evol Microbiol. 2009; 59: 1460-4. 7. Yang SY, Liu H, Liu R, Zhang KY, Lai R. Saccharibacillus kuerlensis sp. nov., isolated from a desert soil. Int J Syst Evol Microbiol. 2009; 59: 953-7. 8. Zhou Y, Wei W, Wang X, Xu L, Lai R. Azospirillum palatum sp. nov., isolated from forest soil in Zhejiang province, China. J Gen Appl Microbiol. 2009; 55: 1-7. 9. Zhou Y, Wei W, Wang X, Lai R. Proposal of Sinomonas flava gen. nov., sp. nov., and description of Sinomonas atrocyanea comb. nov. to accommodate Arthrobacter atrocyaneus. Int J Syst Evol Microbiol. 2009; 59: 259-63. 10. Yang H, Wang X, Liu X, Wu J, Liu C, Gong W, Zhao Z, Hong J, Lin D, Wang Y, Lai R. Antioxidant peptidomics reveals novel skin antioxidant system. Mol Cell Proteomics. 2009; 8: 571-83. 1. Zhou Y, Wei W, Che Q, Xu Y, Wang X, Huang X, Lai R. Bacillus pallidus sp. nov., isolated from forest soil. Int J Syst Evol Microbiol. 2008; 58: 2850-4. 2. Wang Y, Hong J, Liu X, Yang H, Liu R, Wu J, Wang A, Lin D, Lai R. Snake cathelicidin from Bungarus fasciatus is a potent peptide antibiotics. PLoS One. 2008; 3: e3217. 3. Wei W, Zhou Y, Wang X, Huang X, Lai R. Sphingobacterium anhuiense sp. nov., isolated from forest soil. Int J Syst Evol Microbiol. 2008; 58: 2098-101. 4. Li J, Wu H, Hong J, Xu X, Yang H, Wu B, Wang Y, Zhu J, Lai R, Jiang X, Lin D, Prescott MC, Rees HH. Odorranalectin is a small peptide lectin with potential for drug delivery and targeting. PLoS One. 2008; 3: e2381. 5. Liu R, Liu H, Zhang CX, Yang SY, Liu XH, Zhang KY, Lai R. Sphingobacterium siyangense sp. nov., isolated from farm soil. Int J Syst Evol Microbiol. 2008; 58: 1458-62. 6. Liu R, Liu H, Feng H, Wang X, Zhang CX, Zhang KY, Lai R. Pseudomonas duriflava sp. nov., isolated from a desert soil. Int J Syst Evol Microbiol. 2008; 58: 1404-8. 7. Yan X, Feng H, Yu H, Yang X, Liu J, Lai R. An immunoregulatory peptide from salivary glands of the horsefly, Hybomitra atriperoides. Dev Comp Immunol. 2008; 32: 1242-7. 8. Li J, Wu J, Wang Y, Xu X, Liu T, Lai R, Zhu H. A small trypsin inhibitor from the frog of Odorrana grahami. Biochimie. 2008; 90: 1356-61. 9. Zhang C, Liu J, Xu M, Sun J, Yang S, An X, Gao G, Lin M, Lai R, He Z, Wu Y, Zhang K. Heterorhabditidoides chongmingensis gen. nov., sp. nov. (Rhabditida: Rhabditidae), a novel member of the entomopathogenic nematodes. J Invertebr Pathol. 2008; 98: 153-68. 10. Liu H, Liu R, Yang SY, Gao WK, Zhang CX, Zhang KY, Lai R Flavobacterium anhuiense sp. nov., isolated from field soil. Int J Syst Evol Microbiol. 2008; 58: 756-60. 11. Liu SB, He YY, Zhang Y, Lee WH, Qian JQ, Lai R, Jin Y. A novel non-lens betagamma-crystallin and trefoil factor complex from amphibian skin and its functional implications. PLoS One. 2008; 3: e1770. 12. Wang A, Wang J, Hong J, Feng H, Yang H, Yu X, Ma Y, Lai R. A novel family of antimicrobial peptides from the skin of Amolops loloensis. Biochimie. 2008; 90: 863-7. 13. Han J, You D, Xu X, Han W, Lu Y, Lai R, Meng Q. An anticoagulant serine protease from the wasp venom of Vespa magnifica. Toxicon. 2008; 51: 914-22. 14. Che Q, Zhou Y, Yang H, Li J, Xu X, Lai R. A novel antimicrobial peptide from amphibian skin secretions of Odorrana grahami. Peptides. 2008; 29: 529-35. 15. Lu X, Ma Y, Wu J, Lai R. Two serine protease inhibitors from the skin secretions of the toad, Bombina microdeladigitora. Comp Biochem Physiol B 2008; 149: 608-12. 16. Zhou Y, Zhang YQ, Zhi XY, Wang X, Dong J, Chen Y, Lai R, Li WJ. Description of Sinobacter flavus gen. nov., sp. nov., and proposal of Sinobacteraceae fam. nov. Int J Syst Evol Microbiol. 2008; 58: 184-9. 17. Lu J, Yang H, Yu H, Gao W, Lai R, Liu J, Liang X. A novel serine protease inhibitor from Bungarus fasciatus venom. Peptides. 2008; 29: 369-74. 18. Zhang K, Liu H, Sun J, Liu J, Fei K, Zhang C, Xu M, Sun J, Ma X, Lai R, Wu Y, Lin M. Molecular Phylogeny of Geographical Isolates of Bursaphelenchus xylophilus: Implications on the Origin and Spread of this Species in China and Worldwide. J Nematol. 2008; 40: 127-37. 1. Wang X, Song Y, Li J, Liu H, Xu X, Lai R, Zhang K. A new family of antimicrobial peptides from skin secretions of Rana pleuraden. Peptides. 2007; 28: 2069-74. 2. Yu H, Wang X, Liu J, Lai R. A novel algesic peptide derived from skin secretions of the frog Amolops loloensis. J Pept Sci. 2007; 13: 798-802. 3. Chen L, Li Y, Li J, Xu X, Lai R, Zou Q. An antimicrobial peptide with antimicrobial activity against Helicobacter pylori. Peptides. 2007; 28: 1527-31. 4. Liu X, Wang Y, Cheng L, Song Y, Lai R. Isolation and cDNA cloning of cholecystokinin from the skin of Rana nigrovittata. Peptides. 2007; 28: 1540-4. 5. Zhou Y, Dong J, Wang X, Huang X, Zhang KY, Zhang YQ, Guo YF, Lai R, Li WJ. Chryseobacterium flavum sp. nov., isolated from polluted soil. Int J Syst Evol Microbiol. 2007; 57: 1765-9. 6. Yu H, Yang H, Ma D, Lv Y, Liu T, Zhang K, Lai R, Liu J. Vespid chemotactic peptide precursor from the wasp, Vespa magnifica (Smith). Toxicon. 2007; 50: 377-82. 7. Li J, Zhang C, Xu X, Wang J, Yu H, Lai R, Gong W. Trypsin inhibitory loop is an excellent lead structure to design serine protease inhibitors and antimicrobial peptides. FASEB J. 2007; 21: 2466-73. 8. Xu C, Ma D, Yu H, Li Z, Liang J, Lin G, Zhang Y, Lai R. A bactericidal homodimeric phospholipases A2 from Bungarus fasciatus venom. Peptides. 2007; 28: 969-73. 9. Li J, Xu X, Xu C, Zhou W, Zhang K, Yu H, Zhang Y, Zheng Y, Rees HH, Lai R, Yang D, Wu J. Anti-infection peptidomics of amphibian skin. Mol Cell Proteomics. 2007; 6: 882-94. 10. 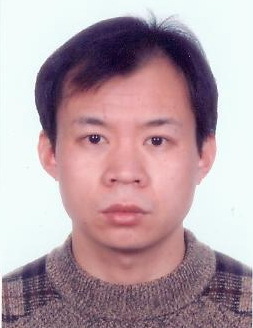 Zhou Y, Wang X, Liu H, Zhang KY, Zhang YQ, Lai R, Li WJ. Pontibacter akesuensis sp. nov., isolated from a desert soil in China. Int J Syst Evol Microbiol. 2007; 57: 321-5. 11. Li J, Yu H, Xu X, Wang X, Liu D, Lai R. Multiple bombesin-like peptides with opposite functions from skin of Odorrana grahami. Genomics. 2007; 89: 413-8. 1. Xu X, Yang H, Yu H, Li J, Lai R. The mastoparanogen from wasp. Peptides. 2006; 27: 3053-7. 2. Li J, Liu T, Xu X, Wang X, Wu M, Yang H, Lai R. Amphibian tachykinin precursor. Biochem Biophys Res Commun. 2006; 350: 983-6. 3. Lu Y, Li J, Yu H, Xu X, Liang J, Tian Y, Ma D, Lin G, Huang G, Lai R. Two families of antimicrobial peptides with multiple functions from skin of rufous-spotted torrent frog, Amolops loloensis. Peptides. 2006; 27: 3085-91. 4. Zhou Z, Yang H, Xu X, Wang X, Lai R. The first report of kininogen from invertebrates. Biochem Biophys Res Commun. 2006; 347: 1099-102. 5. Liang J, Han Y, Li J, Xu X, Rees HH, Lai R. A novel bradykinin-like peptide from skin secretions of rufous-spotted torrent frog, Amolops loloensis. Peptides. 2006; 27: 2683-7. 6. Yu D, Liang J, Yu H, Wu H, Xu C, Liu J, Lai R. A tick B-cell inhibitory protein from salivary glands of the hard tick, Hyalomma asiaticum asiaticum. Biochem Biophys Res Commun. 2006; 343: 585-90. 7. Xu X, Li J, Han Y, Yang H, Liang J, Lu Q, Lai R. Two antimicrobial peptides from skin secretions of Rana grahami. Toxicon. 2006; 47: 459-64. 8. Zhang YQ, Li WJ, Zhang KY, Tian XP, Jiang Y, Xu LH, Jiang CL, Lai R. Massilia dura sp. nov., Massilia albidiflava sp. nov., Massilia plicata sp. nov. and Massilia lutea sp. nov., isolated from soils in China. Int J Syst Evol Microbiol. 2006; 56: 459-63. 9. Xu X, Li J, Lu Q, Yang H, Zhang Y, Lai R. Two families of antimicrobial peptides from wasp (Vespa magnifica) venom. Toxicon. 2006; 47: 249-53. 10. Li J, Xu X, Yu H, Yang H, Huang Z, Lai R Direct antimicrobial activities of PR-bombesin. Life Sci. 2006; 78: 1953-6. 11. Yu D, Sheng Z, Xu X, Li J, Yang H, Liu Z, Rees HH, Lai R. A novel antimicrobial peptide from salivary glands of the hard tick, Ixodes sinensis. Peptides. 2006; 27: 31-5. 1. Zhang YX, Lai R, Lee WH, Zhang Y. Frog albumin is expressed in skin and characterized as a novel potent trypsin inhibitor. Protein Sci. 2005; 14: 2469-77. 2. Lee WH, Zhang J, Zhang YX, Jin Y, Lai R, Zhang Y. Maximin 9, a novel free thiol containing antimicrobial peptide with antimycoplasma activity from frog Bombina maxima. FEBS Lett. 2005; 579: 4443-8. 3. Lee WH, Liu SB, Shen JH, Jin Y, Lai R, Zhang Y. Identification and molecular cloning of a novel neuromedin U analog from the skin secretions of toad Bombina maxima. Regul Pept. 2005; 129: 43-7. 4. Lee WH, Li Y, Lai R, Li S, Zhang Y, Wang W. Variety of antimicrobial peptides in the Bombina maxima toad and evidence of their rapid diversification. Eur J Immunol. 2005;35: 1220-9. 5. Liang JG, Zhang J, Lai R, Rees HH. An opioid peptide from synganglia of the tick, Amblyomma testindinarium. Peptides. 2005; 26: 603-6. 1. Lai R, Takeuchi H, Jonczy J, Rees HH, Turner PC. A thrombin inhibitor from the ixodid tick, Amblyomma hebraeum. Gene. 2004; 342: 243-9. 2. Lai R, Takeuchi H, Lomas LO, Jonczy J, Rigden DJ, Rees HH, Turner PC. A new type of antimicrobial protein with multiple histidines from the hard tick, Amblyomma hebraeum. FASEB J. 2004; 18: 1447-9. 3. Lai R, Lomas LO, Jonczy J, Turner PC, Rees HH. Two novel non-cationic defensin-like antimicrobial peptides from haemolymph of the female tick, Amblyomma hebraeum. Biochem J. 2004; 379: 681-5. 1. Lai R, Liu H, Lee WH, Zhang Y. Bombinakinin M gene associated peptide, a novel bioactive peptide from skin secretions of the toad Bombina maxima. Peptides. 2003; 24: 199-204. 2. Lai R, Liu H, Lee WH, Zhang Y. Two novel Bv8-like peptides from skin secretions of the toad Bombina maxima. Comp Biochem Physiol B 2003; 134: 509-14. 1. Lai R, Yang DM, Lee WH, Zhang Y. Biological activities of skin secretions of the salamander Tylototriton verrucosus. J Nat Toxins. 2002; 11: 245-50. 2. Lai R, Liu H, Hui Lee W, Zhang Y. An anionic antimicrobial peptide from toad Bombina maxima. Biochem Biophys Res Commun. 2002; 295: 796-9. 3. Lai R, Liu H, Lee WH, Zhang Y. A novel proline rich bombesin-related peptide (PR-bombesin) from toad Bombina maxima. Peptides. 2002; 23: 437-42. 4. Lai R, Zheng YT, Shen JH, Liu GJ, Liu H, Lee WH, Tang SZ, Zhang Y. Antimicrobial peptides from skin secretions of Chinese red belly toad Bombina maxima. Peptides. 2002; 23: 427-35. 5. Lai R, Liu H, Lee WH, Zhang Y. Identification and cloning of a trypsin inhibitor from skin secretions of Chinese red-belly toad Bombina maxima. Comp Biochem Physiol B 2002; 131: 47-53. 1. Lai R, Liu H, Hui Lee W, Zhang Y. A novel bradykinin-related peptide from skin secretions of toad Bombina maxima and its precursor containing six identical copies of the final product. Biochem Biophys Res Commun. 2001, 286: 259-63.